Lifetime Movies is rolling out its next Christmas-themed movie, The Christmas Pact, this weekend on Sunday. It’s about two childhood friends, Sadie and Ben, who made a Christmas pact and are now adults trying to keep their relationship alive. Will Cupid finally strike? Find out if Sadie and Ben come together or go their different ways this Christmas! The holiday season is trucking along and Lifetime Movies is celebrating with new Christmas movies every week. The next one set to play across your screens is The Christmas Pact, which will have its world premiere at 8:00 p.m. EST on Sunday night, December 2, 2018. Will longtime friendship turn into love? That’s what you’ll be asking yourself as you watch The Christmas Pact this weekend. Here are a few details about the film’s plot and cast. Next-door neighbors and best friends Sadie (Kyla Pratt) and Ben (Jarod Joseph) are struggling to keep their childhood pact and the spirit of Christmas alive, even as “being grownups” threatens to derail them. Years ago, when Sadie and Ben were just eight years old, they planted a little three-foot-tall Christmas tree behind their church and made a pact. They agreed to always to be friends and be there for each other, no matter how many obstacles came their way. But now that they’re adults with their separate lives and careers, the pact is in danger of being broken. Their Christmas tree has grown into a tall, strapping tree, and their childhood love has also blossomed with time. But can two best friends fall in love and make it work together? Sadie and Ben will have to recommit to each other and keep their special Christmas traditions alive. Will this year’s Christmas bring them together for keeps? Will the incredible magic of Christmas bring the couple joy and love? Apart from Kyla Pratt and Jarod Joseph, the film stars actors like Nicole Anthony, Stephanie Bennett, Hamza Fouad, and A Different World‘s Jasmine Guy and Kadeem Hardison. 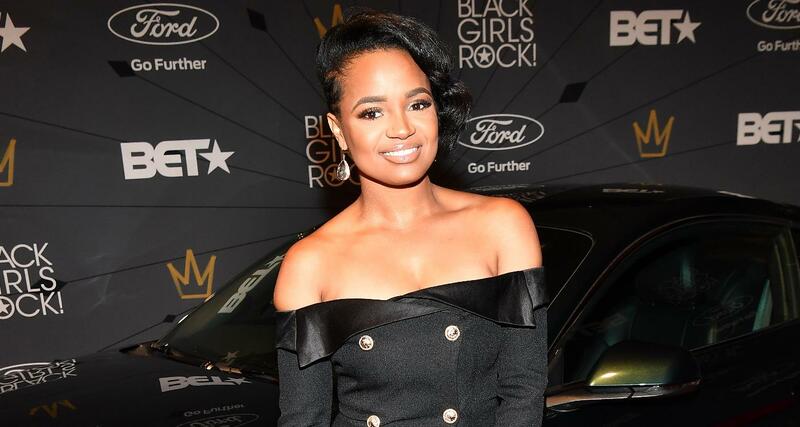 Born on September 16, 1986, in Los Angeles, California, Kyla Pratt’s age is 32 years old. Pratt is an actress known for her roles in the TV series The Proud Family and One on One, and the film Doctor Dolittle. Pratt was a student at the respected Hamilton Academy of Music in Los Angeles, and made her showbiz debut by working in TV commercials. Pratt has acted in many TV series, such as In the House, Smart Guy, The Parent ‘Hood, Moesha, Let’s Stay Together, and Recovery Road. She has also acted in films like The Baby-Sitters Club, Riot, Mad City, Barney’s Great Adventure, Love & Basketball, Dr. Dolittle 2, The Seat Filler, Fat Albert, and Hotel for Dogs. Pratt is currently in a relationship with Danny Kilpatrick, and the couple has two daughters named Lyric Kai Kilpatrick and Lyah Kilpatrick respectively. Pratt and Kilpatrick got engaged in April 2011, and everyone’s been waiting for wedding bells to ring ever since. Joseph had never thought of making a career in the entertainment industry, until one day his friend pointed out to him just how right he was for showbiz. Before then, Joseph had put his passion into both hockey and basketball, and he wasn’t exactly a bad player in either sport. In 2007, Joseph landed in Vancouver, Canada, to make his start in the entertainment industry, and scored quickly by snapping up recurring roles in U.S. TV productions and then films like Percy Jackson & the Olympians: The Lightning Thief. Joseph has acted in TV series like Human Target, The Killing, Once Upon a Time, Fringe, The LA Complex, Rogue, Mistresses, The 100, and the Canadian series Coded. His favorite Hollywood stars are Denzel Washington and James Gandolfini. Make your pact with Lifetime Movies this weekend and watch The Christmas Pact at 8:00 p.m. EST on December 2, 2018. Lose yourself in the heart-warming and spirit-lifting holiday season with The Christmas Pact this Sunday night.